We were engaged by Maitland City Council to prepare a strategic plan that was consistent with the Central Maitland Vision Statement and to provide a coherent and longterm framework for the planning policies regarding development in Central Maitland. By considering local and regional policy directions, in conjunction with in-depth analysis and community consultations, opportunities and constraints were identified. Conservation principles for retaining and rehabilitating the unique historic character were established. 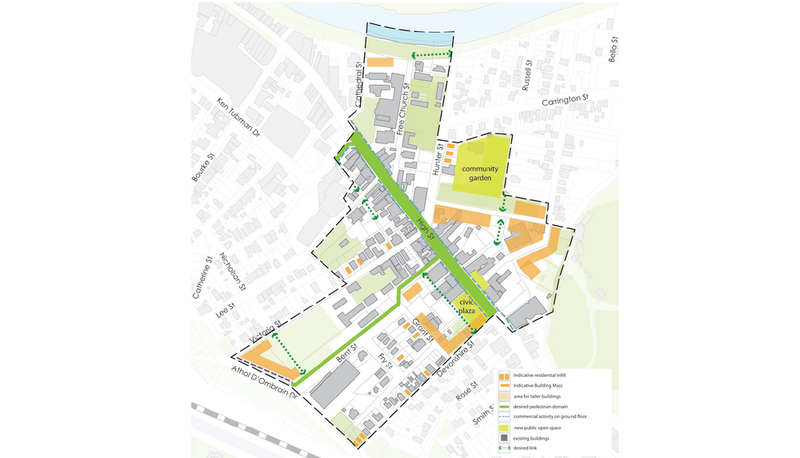 In conjunction with principles for mixed land use activities, precinct-based development and strategies for desirable movement patterns and social activities, the Structure Plan will help to revitalise an underutilised town centre.